This lot contains a caddy bib from The Toronto Golf Club. 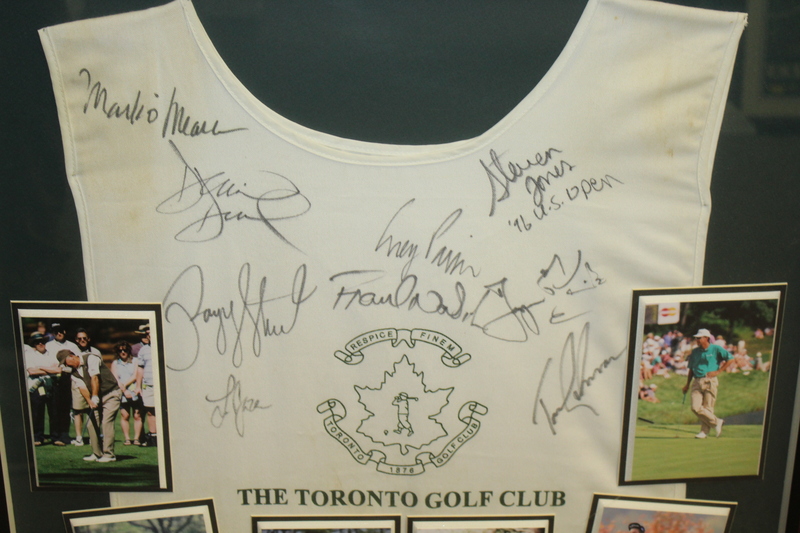 Toronto Golf Club was one of the first golf clubs in both Canada and the USA. The club was founded in 1876 by a Scottish immigrant named James Lamond Smith. For the first few years the club didn't have a club house at all and for the first decade and a half the club didn't have a club house to themselves. 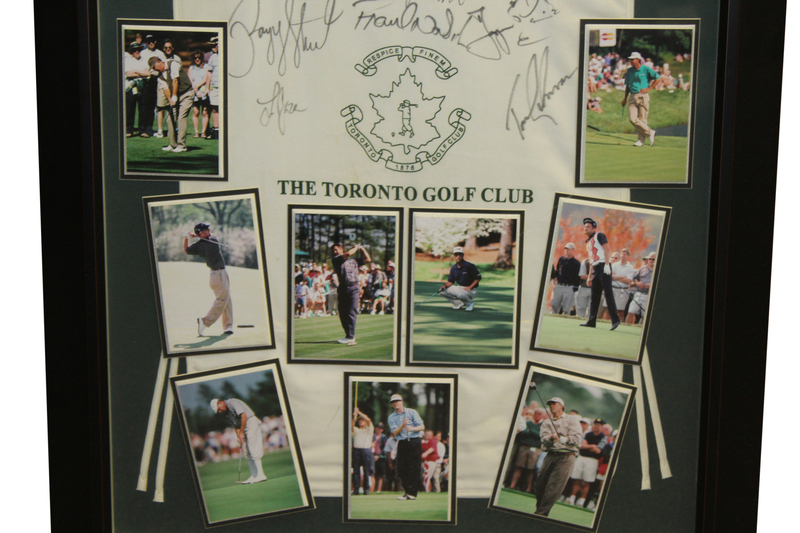 Since then, the Toronto Golf Club has hosted the Canadian Open five times and the Canadian Amateur Championship nine times. 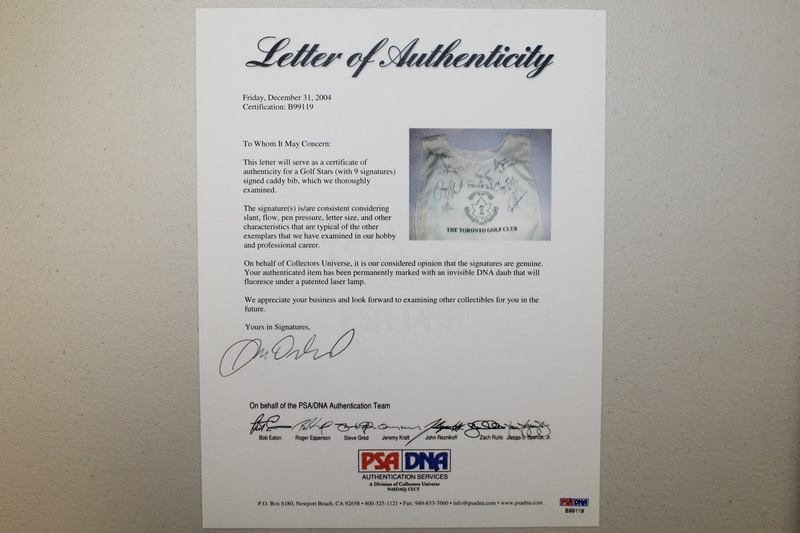 The framed caddy bib in this lot is signed by Mark O'Meara, Corey Pavin, Steven Jones, Payne Stewart, David Duval, Jasper Parnevik, Tom Lehman, Frank Nobilo, and Lee Janzen. Mid-play photos of each player whose signature is on the bib are mounted in the frame as well. 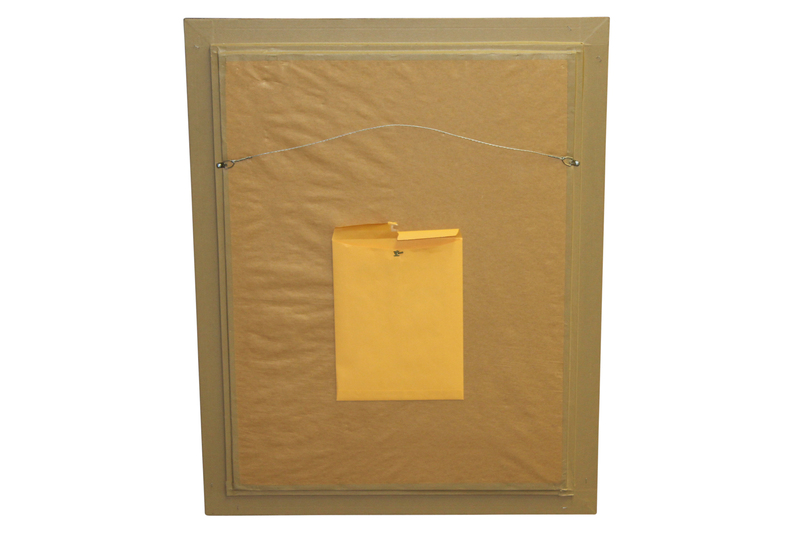 Each photo sits on its own beveled platform.